It shouldn’t be surprising for you if we say selection in SSC CGL 2018 followed by SSC CHSL 2018 might lose a grip off your hands unless your practice is extraordinary. An average preparation, a non-challenging approach to your exam practice is surely not going to bring success for you! To crack SSC exams be it SSC CGL 2018, SSC CHSL 2018 your preparation must be unbeatable and worth bearing a tough competition to surmount your weakness in every section of the SSC 2018-19 Exams. This is the time of stiff practice, hard work, analysis and ironing out your every single doubt. ADDA247 is undeniably one of the most benefitting mediums for all the government job aspirants across the country and our Video Courses are specially prepared in a way that students are able to utilize their precious time in the most prolific way. 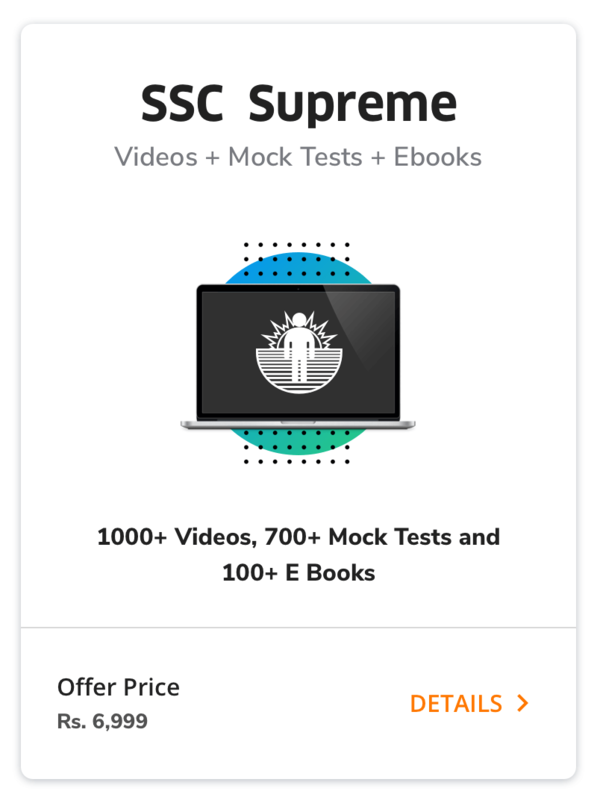 Don’t miss out on our SSC Supreme Video Course, an unbeatable all-rounder package that makes you perform with excellence in SSC 2018-19 Exams.